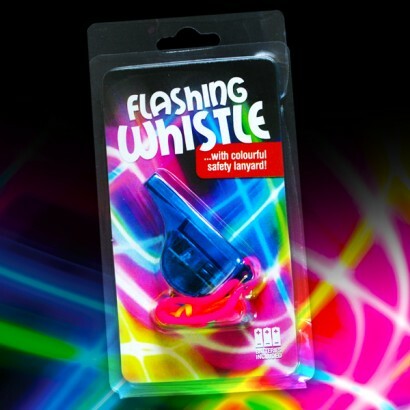 Ramp up the fun factor at your parties and events with light up flashing whistles! 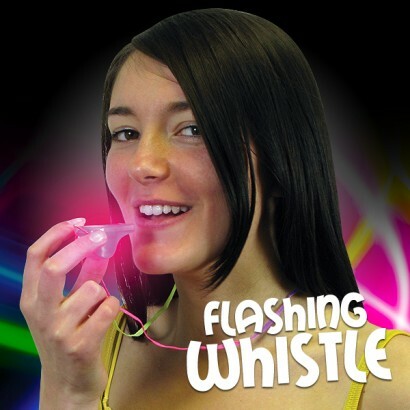 Make some noise and get glowing with colourful light up whistles packed with multi coloured LEDs for extra wow factor! 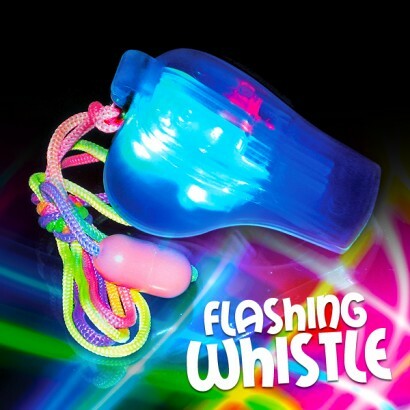 Each whistle contains red, blue and yellow LEDs that flash brightly for extra excitement and instant party atmosphere. Press the button on the underside of the whistle to activate for amazing light up effect sand party sounds!